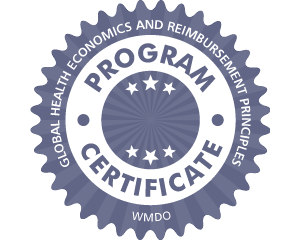 This program provides a comprehensive overview of health economic evaluations and health technology assessments, how they work, and the processes involved in achieving valid evaluation. It also details the fundamental actions and critical factors necessary to securing reimbursement for medical devices upon their commercial release in the US. This program reaches a common understanding of what funding and reimbursement mean when applied to medical devices, considers implications for medical device companies, and examines whether or not reimbursement harmonization exists at the European level. Assessing the best value of medical technology is difficult, but when the allocation of available global healthcare resources is prioritized accordingly, medical technology economic evaluation is the only way of guaranteeing a return on investment.